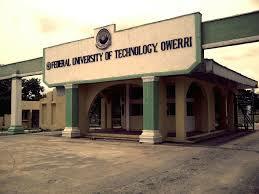 Federal University of Technology, Owerri (FUTO) Admission List of Candidates Offered Provisional Admission (1st Batch) Successfully Uploaded Online for 2018/2019 Academic Session. Authorities of the Federal University of Technology, Owerri has released the list of candidates offered provisional admission into the institution degree programmes for 2018/2019 academic session. Candidates can now log on to the FUTO Admission portal to confirm their admission status.